We at ELV are tempted to call Blue Fin the second best, off-Strip, Japanese restaurant in town (after Sen of Japan). It’s certainly a cut or three above your average, neighborhood, bastardized Japanese joint, and there’s no denying the brightness of the seafood, and of chef/owner Jin Chang’s knife work. Another thing we like about it is the size (32 seats, including a small sushi bar), that puts us in mind of the intimate sushi counters that dot big, sophisticated cities everywhere. Here, everyone flocks to Sushi Fever, I Love Sushi, and many others that have all the charm of a food factory. And that would be because that’s what they are. Tiny, pristine joints like Blue Fin give a sense of confidence upon entering….not only because the owner is right there cooking and slicing, but also because you know he has a personal hand (and stake) in every piece of raw fish that’s placed before you. Chang opened a little over a year ago, after working at Fleur de Lys under former Executive Chef Laurent Pillard. He does the all-you-can-eat thing, but to truly take the measure of the place, you need to tuck into his superior poke salad, tuna katsu with curry sauce, or an ethereal, sweet shrimp — flash fried and barely cooked, leaning against a cube of custard-y, fried tofu. It showcases the subtlety of Chang’s cooking, and allows us to forgive him for the obligatory Screaming Orgasms and Wet Dreams — both of which ELV is no stranger to. These days we prefer our dreams to be dry and our climaxes to be on the quiet side. But we’re still dreaming about the silky, buttery, hamachi (yellowtail) sashimi, and did have our eyes rolling back in our head over his white tuna, brilliant uni, fatty salmon, and fresh off the boat snapper. Keeping it clean won’t be a problem at Blue Fin. Keeping the smile off your face will be. OMG, you found good sushi near Henderson (close enough for me to get to in under 10 minutes)! When my dad last visited, he wanted to try some place by the Food 4 Less at Green Valley and Warm Springs. I had to remind him that it was recently cited for violating county health regulations, so it might not be a good idea to visit that place. I’m SO glad I have a place to try myself and somewhere I can take my dad when he’s back in town in December. I pass by blue fin all the time but I never gave it a second glance, thinking it would be like the other sushi joints in Green Valley. Thanks for the review, I will be heading there soon. I visited Las Vegas last month from New Orleans and stopped to eat at Blue Fin. The sushi was excellent. It was fresh and delicious. I highly recommend eating there. I’m really happy to find a great sushi restaurant in Las Vegas. 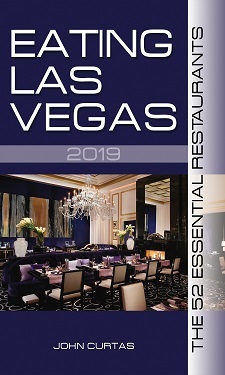 I went on business trip to Las Vegas very often and always got in trouble with finding a quality restaurant to eat out with my boss. I’m sure to visit Blue Fin in my next biz trip. Wow ELV, I could disagree more, but not much. This place is a dump. The food is so-so, but hygiene wise, I was a little scared. The staff was nice enough, particularly after I asked the sushi chef to have the hostess clear away a plate of dishes at the near empty sushi bar that had been left standing in the near empty restaurant for over ten minutes. The rolls were slighty better than youd get pre packaged at the supermarket, while it was clear that the shrimp had been cooked a day earlier, and was imparting a taste/flavor better suited to vietnamese cuisine than subtle sushi compositions. Nice enough, but 2d best off strip, I think not. I Love Sushi on Eastern is miles better. I Love Sushi vegasdave? C’mon if you’re way up there on Eastern already En Sushi is a much better place. haven’t been to Blue Fin but I Love Sushi is great. The service wasn’t great, friendly enough but not really helpful in terms of ordering suggestions, etc. But all in all one of the best pure sushi places in town. thanks BW, Ill give En Sushi a try and post a review, with ELV’s permission, of course. Proper thanks are due for this awesome article. I’ve read id only a few months now plus they are always very informative. Thanks! We stumbled on this plain looking outlet in October 2010 but, what we had for our fast food priced set lunch was far from plain. The bentos looked and tasted great and offers fantastic value. The ala carte sushi looks like what you would expect from a fine restaurant. If it wasn’t my last day in LV, I would have made some detours for a few more meal there.